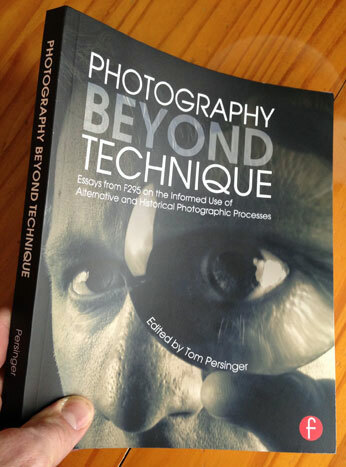 Tom Persinger has pulled together this compelling book of 20 essays by 21 photographers. Each piece began as a lecture delivered at one of the previous F295 conferences and Persinger worked with them to transform that raw material into an engaging essay. 1. Why do these contemporary artists utilize alternative, historical, or handmade photographic processes and techniques. 2. How does these methods enable the further articulation of their narrative? 3. From where do these artists draw inspiration and ideas?